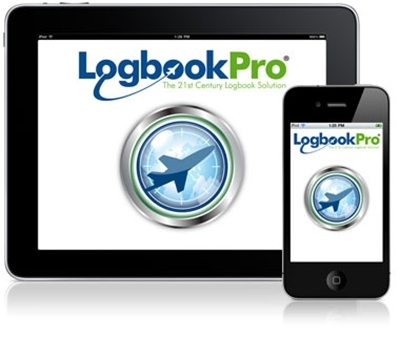 Logbook Pro for the iPhone, iPod touch, and iPad is hands down the best pilot logbook software for Apple's iPhone, iPod touch, and iPad. Logbook Pro brings you the most popular, reliable, trusted, and proven electronic flight logbook software for pilots used in the aviation community for over a decade. Logbook Pro enables you to track your Certificates, Ratings, Medicals, Flight Reviews, Historical data, and Flights (actual or sim) and view detailed and extensive reports. Import airline schedules and integrate your device's calendar for reminder notifications and scheduling deconfliction. Version 2 of our popular app is now a universal app; one app for both iPhone and iPad. In addition the app is now FREE on the Apple App Store allowing you to explore Logbook Pro both on the App side as well as the PC side prior to purchase. Instead of purchasing the app now we are charging a small fee for cloud synchronization eliminating all risk in your app purchase to explore what Logbook Pro has to offer. Version 2 is significantly improved over our extremely successful version 1 product with numerous new features and a new look for the best possible user experience and readability. Cloud Synchronization is our advanced Internet synchronization system to send and receive information between our servers and participating products such as Logbook Pro PC edition and Logbook Pro for iPhone, iPod touch, and iPad. The "Cloud" is another term for the Internet. Using Internet (Cloud) synchronization we can sync to any hardware device whether it's a Windows PC, a Mac OS computer, or a device. All that is required is an Internet connection. There is no need for cables, WiFi connections, etc. Connect to the Internet and we can synchronize your computers and devices through our secure network infrastructure. Top 4 Download periodically updates software information of Logbook Pro for iPhone/iPad 4.1 full version from the publisher, but some information may be slightly out-of-date. Using warez version, crack, warez passwords, patches, serial numbers, registration codes, key generator, pirate key, keymaker or keygen for Logbook Pro for iPhone/iPad 4.1 license key is illegal and prevent future development of Logbook Pro for iPhone/iPad 4.1. Download links are directly from our mirrors or publisher's website, Logbook Pro for iPhone/iPad 4.1 torrent files or shared files from free file sharing and free upload services, including Rapidshare, HellShare, HotFile, FileServe, MegaUpload, YouSendIt, SendSpace, DepositFiles, Letitbit, MailBigFile, DropSend, MediaMax, LeapFile, zUpload, MyOtherDrive, DivShare or MediaFire, are not allowed! Your computer will be at risk getting infected with spyware, adware, viruses, worms, trojan horses, dialers, etc while you are searching and browsing these illegal sites which distribute a so called keygen, key generator, pirate key, serial number, warez full version or crack for Logbook Pro for iPhone/iPad 4.1 download. These infections might corrupt your computer installation or breach your privacy. A keygen or key generator might contain a trojan horse opening a backdoor on your computer. Hackers can use this backdoor to take control of your computer, copy data from your computer or to use your computer to distribute viruses and spam to other people.